The first trailer for Bodied is here to provide the outrageous rap battle fix cinema has been missing. This movie has had a long road to release and has been earning a ton of buzz while making the rounds on the festival circuit. Even if you haven’t heard of it yet, this has positioned itself as something that will be talked about once people start to see it. And they’re finally going to have the chance to see it very soon. Rap legend Eminem serves as a producer on Bodied and he recently shared both a green-band and red-band trailer online. The trailer plays up the seriousness of rap battle culture and quickly displays its willingness to make commentary on pop culture and our current times, even if it’s not totally politically correct. There are also some pretty clear 8 Mile parallels going on here, which makes sense, given that Eminem is directly involved. One might even accuse some of the content of being downright offensive. For those who aren’t easily offended, this looks like a must-see. Bodied is the satirical story of Adam Merkin, a progressive grad student who becomes an accidental battle rapper whose success breeds outrage. The cast includes Calum Worthy (American Vandal, Austin & Ally, The Thinning), Jackie Long (Idlewild, ATL), Shoniqua Shondai (Sing It!, The Fosters), Walter Perez (The Avengers, Fame) and Rory Uphold (Hella). To help give the movie an authentic feel, it will also feature some renowned battle rappers such as Dizaster, Dumbfoundead, Hollow Da Don and media personality Charlamagne Tha God. Acclaimed music video director Joseph Kahn helmed Bodied. Aside from Eminem, the movie is produced by his manager and Def Jam Records CEO Paul Rosenberg, Adi Shankar and Jil Hardin. The screenplay comes from Alex Larsen, aka Kid Twist, a former rap battler turned screenwriter. The movie made its debut at the Toronto International Film Festival in 2017 and took home the people’s choice award. The crowd at 2017’s Fantastic Fest responded similarly, as Bodied took home the audience award at that festival. Critics have responded incredibly well to the movie thus far as well, as it currently holds a 90 percent approval rating on Rotten Tomatoes, with 29 reviews counted. YouTube stepped in and picked up the exclusive streaming rights for the movie, following the wave of positive buzz. 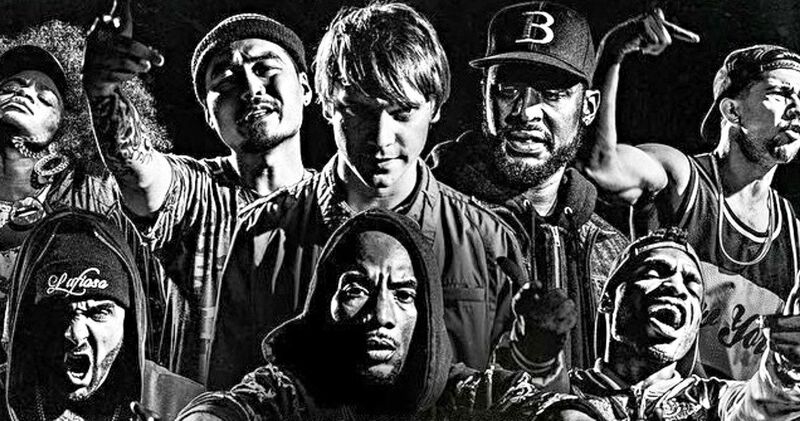 Bodied will debut in theaters first on November 2, before making its way to YouTube Premium on November 28. So audiences will have the chance to check out the acclaimed, and possibly offensive, rap battle satire for themselves in the very near future. In addition to the trailer, we also have a new poster for the movie which you can check out as well. Be sure to check out the Bodied trailer from the Eminem Music YouTube channel, in green-band or red-band form, for yourself below.